The Roger Bacon Academy middle school archery team finished the North Carolina state archery tournament today with a combined team score of 3,135 – well above the score of 2,900 needed to qualify for the National Archery in the Schools Program (NASP®) National Tournament held in Louisville, KY. Because today’s state tournament was a virtual tournament, state rankings will be released at a later date. The team will be traveling to the National tournament which will take place on May 14 and 15, 2012. – The team’s score was higher today than the teams combined score at the World tournament last year – in which they ranked 7th in the world. 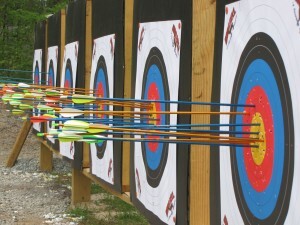 – Trey Rivenbark, 7th grade, had the highest male individual score at 282 out of 300 – his first round was a perfect 50 – all bulls-eyes. 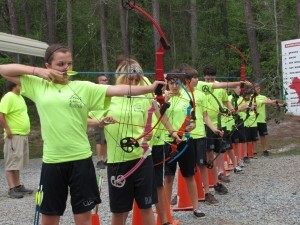 – Leanne Applewhite, 8th grade, had the highest female individual score at 271 out of 300 – she had a “Robinhood” (she split a bulls-eye arrow with a second arrow). 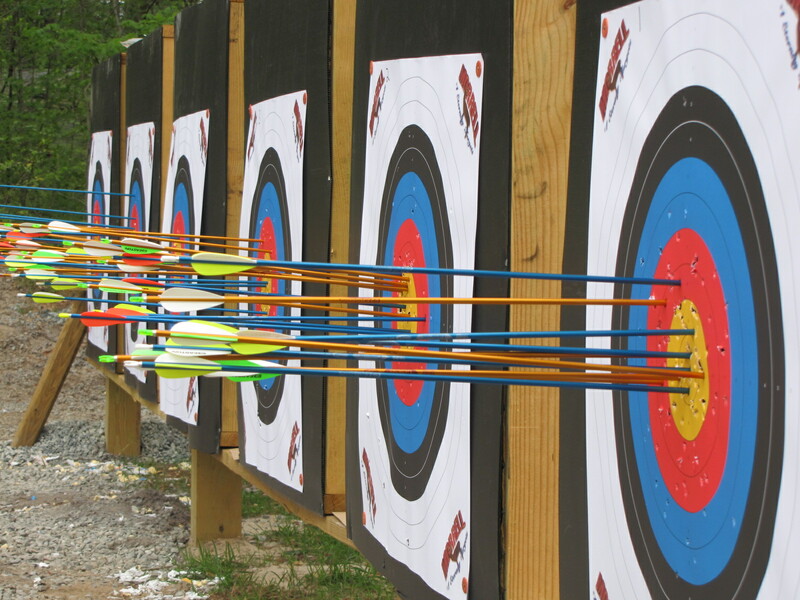 – The team did extremely well even though the archery range is outdoor, forcing archers to take wind and weather into consideration – national and world tournaments are indoor.